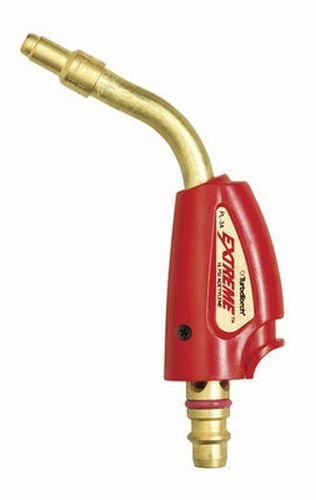 Victor TurboTorch 0386-0874 PL-3A Tip Swirl, Air Acetylene, Self Lighting features an orifice screw that can be easily removed for simple cleaning or replacement, extending the life of the tip. BTU is 1,280 and the tip size is a 1/4 inch. The industrial applications include high capacity and HVAC. The gas flow is 3.6 at 14 PSI SCFH and 0.31 (0.9 BAR) M3/HR. The soft solder is 1/4 to 1 inch and the silver solder is 1/8 to 1/2 inch. If you have any questions about this product by ESAB, contact us by completing and submitting the form below. If you are looking for a specif part number, please include it with your message.